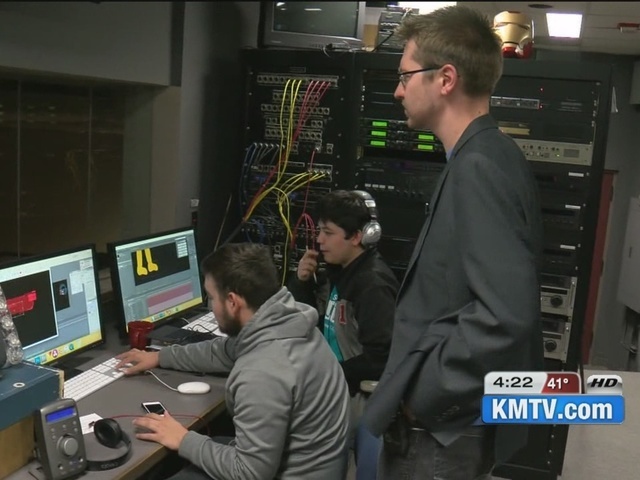 Animation, special effects...short filmsIt's not Los Angeles, but it's Omaha South High!As a magnet school for visual and performing arts, its film program is a big draw for teens. Zombie apocalypse, romantic comedy or saving the world at Omaha South High, the world a set for these student filmmakers. “I really love making the shot come to life like the story come to life, “ said Isabel Garcia-Jaramillo, a student at Omaha South. Students learn different skills from hand drawn animation to visual effects. “We have a student working on some space gun effects right now,” said Dave Weisser, Director of Film Studies and Production, Omaha South. This is a craft taught by Weisser. “So, we look at film from the initial level. Sort of getting into the history -- the background, the techniques,” he said. Then there's learning how to create a scene and shooting, lighting and editing it. A former student himself , Weisser says the film studies and production program is more than fantasy. It's an in-demand skillset in the Metro. Scene re-make from the fantasy action: Scott Pilgrim vs the World. “We carried his laptop everywhere we went to look at the shots and we just try to re-create it as much as we could,” said Jonathan Berliew, a Omaha South student. For the nearly two-minute clip, students created about 160 shots. Students became actors, set designers, wardrobe stylists, the score and sound effects created by music students. “How can we push ourselves? When we see something cool, we try to figure out how can we do it ourselves,” said Weisser. For some students, the cinematic experience. “When I got into film I really just went full on with it,” said Garcia-Jaramill. This program creates inspiration for the role they'll one day play in this world.